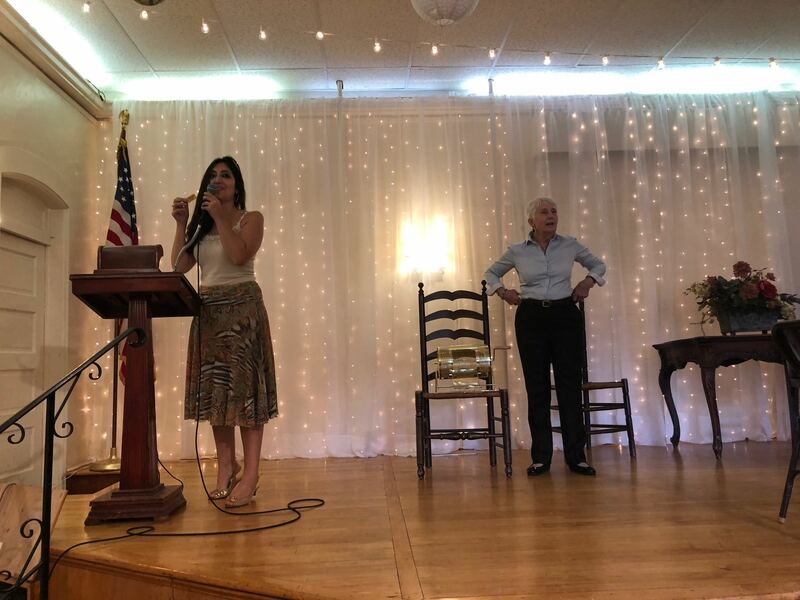 The Woman's Club of Englewood hosts a wide variety charitable and fundraising events. Below you will find some of our most recent events. In addtion, you may also find current news, and general updates. Potluck Lucheon: $25 Per person to attend. $20 per person if you bring your favorite food or dessert! Program: Qi-Gong and Aromatherapy is a holistic system of coordinated body posture and movement, breathing, and meditation used for the purposes of health, spirituality, and martial arts training. With roots in Chinese medicine, philosophy, and martial arts, qigong is traditionally viewed as a practice to cultivate and balance qi (chi), translated as "life energy". Qigong practice typically involves moving meditation, coordinating slow flowing movement, deep rhythmic breathing, and calm meditative state of mind. 2. Using colorful slides, Susan Altman will give a crash course in identifying Art Movements over the ages. Yvonne Crichton gives a Paper Flower Demonstration. Spring Fashion Show Fundraiser to celebrate 124th Anniversary! This event will showcase Fashion by Gabi, and is $75 per person for wine and dinner. Check back for updates! More Events will be announced soon! Below are some photos from our first installation of the Carriage House Concert Series. 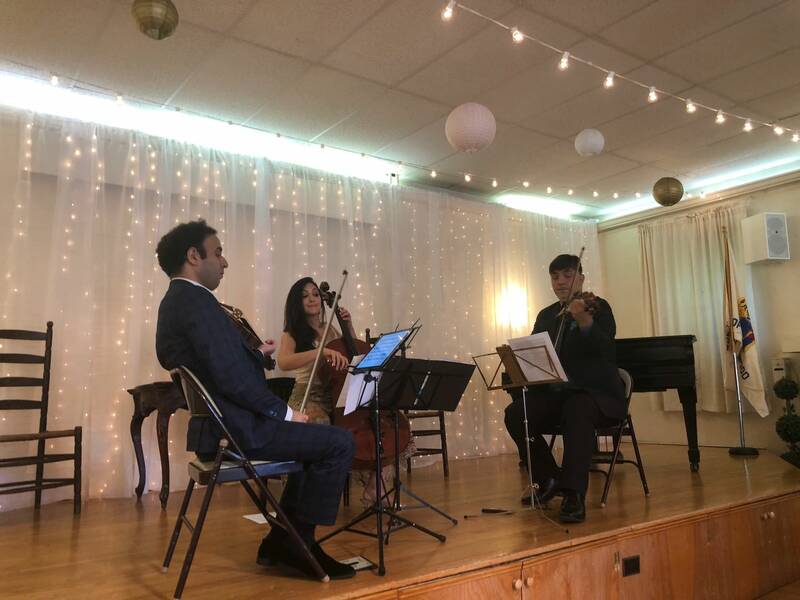 The performers are Ani Kalayjian, also Woman's Club of Englewood member and co-chair of Music, Bela Horvath on the violin and Mialtin Zhezha on the viola. 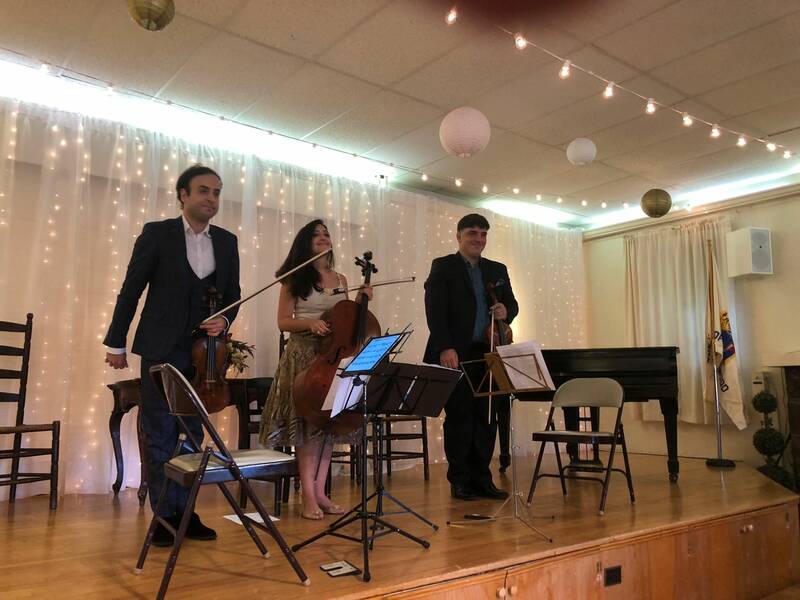 They performed Bach's Goldberg Variations, debuted 28-year-old native Lebanese Layale Chaker's Orison and played Hungarian Ernst von Dohnanyi's Serenade in C major, Op. 10 for Violin, Viola and Cello -- all phenomenally! 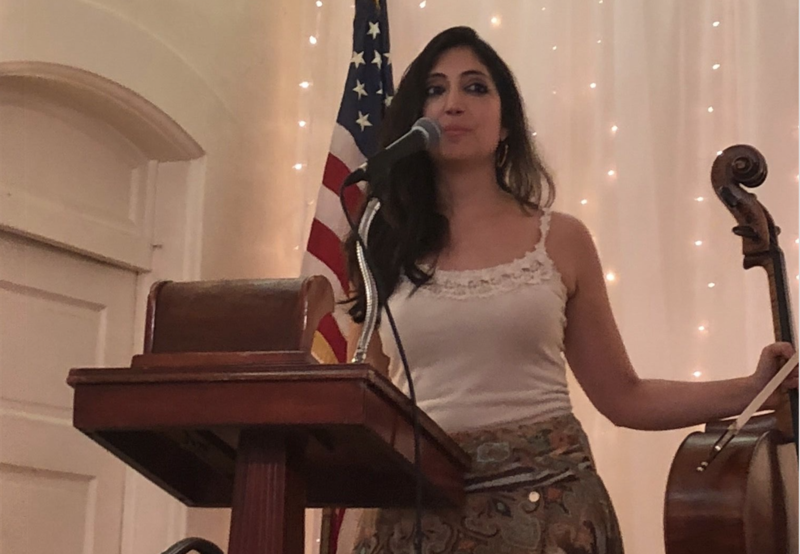 Our Mission is to bring together women interested in intellectual and cultural advancement, develop community, and promote its well-being through a philanthropy program. This mission is exclusively charitable and educational. Consider our Historic Clubhouse for Your Event!